Postek was founded in 1998, they was focused on barcode label printer, RFID printer, and barcode label sticker, barcode ribbon. They also provide barcode printing solution world-wide and malaysia. 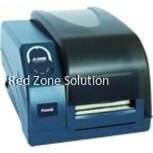 Among the greatest companies in labelling machine suppliers, Red Zone Solution can assist your company reach its high potential. Through a wide variety of products, there is the possibility of making your business or company gain all the benefits of barcoding. This barcode machine supplier can assist you with any request, in order to be able to organise your product management in a whole new level. If your company is located in Malaysia, and more specifically within Klang Valley, it is great. Not only will you find the best Malaysia barcode label printer that you could possibly find, but you will also get it with free installation. 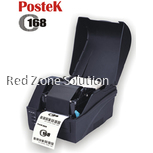 Select a Postek barcode label printer today and take advantage of such a convenience. Red Zone Solution ships its products anywhere in the globe. Though it is not possible to offer a free installation as well, feel free to submit any inquire so as to assist you in the best possible way. You may choose between the compact size and the regular size, depending on your specific needs. This barcode machine supplier will provide you with excellent printing resolution at 203 dpi. It has a great memory system of 2MB SDRAM and a 2MB flash ROM. No matter your specific needs, choose the one best suited for your office. If there is a space limitation, you can go with the compact printer so as to be able to store it at the corner of your desk. However, if you already have some additional space, it is definitely recommended to use a normal sized one. Either way, the quality will not disappoint you. They are ideal for retail, postal and transportation services, healthcare as well as shipping and receiving. Along with your purchase, you also get 1 year online or phone support for any problem that you might face. By purchasing a Postek barcode label printer, you also have 1-year warranty of the machine. The rates will also fascinate you. If you decide to purchase the compact printer, the price will be 273.59 £ with the cost of shipping approximately to 10.00 – 20.00 £. On the other hand, if you want to purchase the normal sized Postek barcode label printer the barcode printer price will be 342.23 £. This is without a doubt the ideal price range for purchasing your own label printer. Take a look at these amazing offers as well as the exact features of your ideal printer and make your own purchase today. Should you need any additional information, you may leave a quote so as to assist you in the best way possible. Click Here for View More Label Printer & Barcode Printer.